Happy happy Friday! It's been a full week over here in this house, and I'm excited to relax a little bit and take on a project or two over the next couple of days. Just like every week, I'm here to share some Lovely Links - a few of my favorite pretty things, DIYs, tutorials, etc. to share with you before I head out for the weekend. 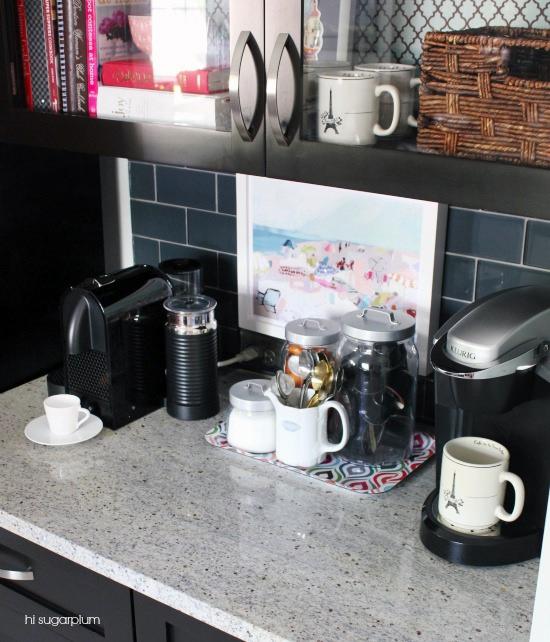 1 | I love how Cassie organized her coffee station in her kitchen. It doesn't look cluttered - even with a whole bunch of pods to deal with - which isn't easy to do! 2 | S'mores popcorn. Brilliant. 3 | I love when people find new uses for old things, so you can imagine how much I love the transformation of these little baby food jars into cute containers! 5 | This post, called "Letting Your Messy Hang Out" spoke to me this week - especially in the midst of the craziness that comes with moving to a new place. 6 | I found out that one of my favorite wallpaper patterns now comes in a removable version. Game changer. Renters rejoice! 7 | In my giant to do list for this house, I shared that I want to add some open shelving to my office. 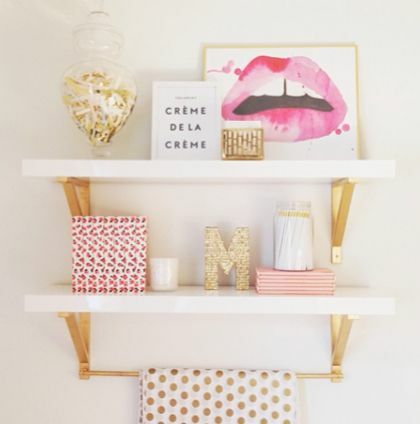 I like the idea of gold brackets with white shelves like this photo below. A little glam, a little modern. What do you think? 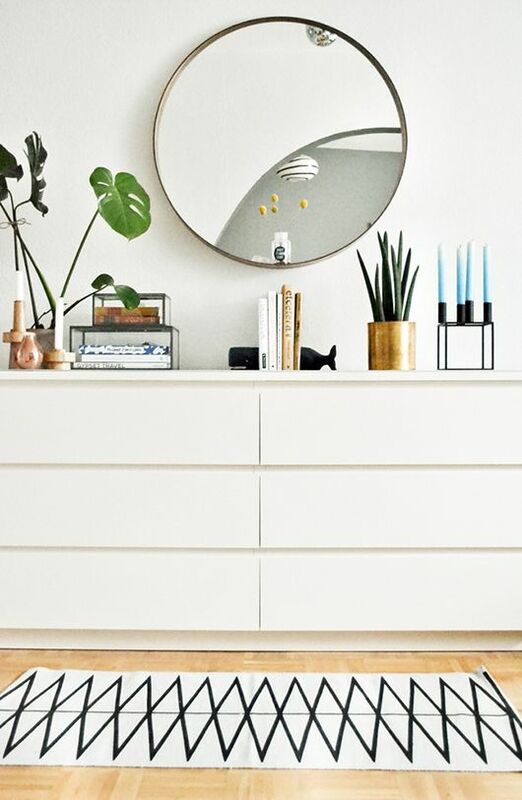 8 | Annnd one more inspirational photo to round out today's links...This simple round mirror looks like a perfect fit to go above our headboard. Or maybe above the dresser? Too early to decide :). That's all, y'all! Have a great weekend! Awesome links as always Chaney! 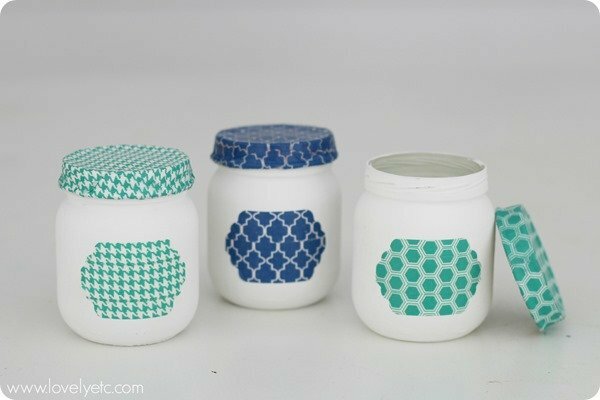 Thanks for sharing my upcycled baby food jars!